The Working Ranch Cowboy's Association and Wrangler have entered into a partnership agreement to make Wrangler the official jeans and shirts of WRCA. Wrangler will be a presenting sponsor of the WRCA World Championship Ranch Rodeo to be held Nov. 8–11, 2018, in Amarillo, Texas. As part of this new agreement, Wrangler will provide the commemorative WCRR shirt to each contestant participating in the World Championship. "This is such a good fit. Both companies share a common goal of promoting the western lifestyle," said Leman Wall, WRCA association manager. "It is natural that we would work together for the benefit of the working ranch cowboy." Wrangler will also sponsor the Wrangler Top Hand of the Week. This new award will help recognize the talents of the working ranch cowboy. After each weekend of ranch rodeo competition, one recipient will be chosen and Wrangler will reward them with a free pair of Wrangler jeans. "Ever since we made our first pair of jeans in 1947, Wrangler has been about people who work hard, have fun and recognize courageous individuality," said Jeff Chadwick, Wrangler director of western special events. "WRCA carries that same passion and we are excited about this new partnership." 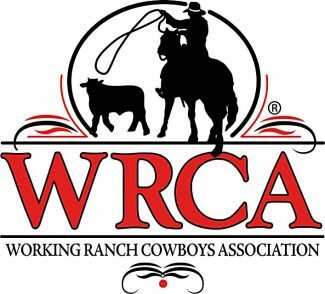 In the near future, WRCA will be carrying WRCA logoed Wrangler shirts in the Cowhand Supply House store. Shirts will be available for purchase at cowhandsupply.com. For more information about WRCA or the 2018 World Championship Ranch Rodeo, visit wrca.org or call (806) 374-WRCA.